I found these flowery cards in Taormina, Sicily two years ago. I visited Sicily twice that summer, first with my family for two weeks and later to see a concert in Taormina for two days. I had planned buying a tarot deck to use as a writing tool (by picking a card, thinking about the symbol or theme in the card and doing a small writing exercise around it) so I visited a small card shop. 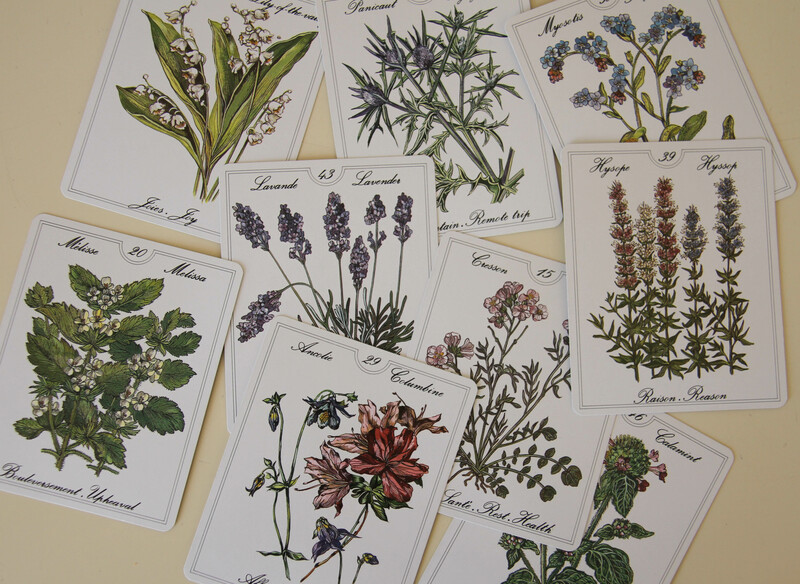 I knew nothing about tarot and chose these flower cards just for their pretty botanical illustrations. Even the box says “flower tarot” these are not traditional tarot cards but so called oracle cards which is even more suitable for my purpose because flower symbolism is clear and easy to read compared to traditional tarot cards with quite complicated symbolism. To be honest I haven’t used the cards the way I originally planned. I use them to collect my thoughts before writing something (like a blog entry) instead. I have my own system where I choose four cards and try to see the issue I had on mind from the perspectives I can see on the cards. This doesn’t always work but is still surprisingly useful and often gives me new ideas. Sometimes I just want to feel positive and pick four cards I like. To make it clear, cards can’t tell me anything. there’s no black magic in this. I’m collecting my own thoughts and trying to see different points of view. I’m quite fond of this new ritual, I’m doing it almost daily for a few minutes. I picked this deck because of the simple, beautiful illustration but also because the theme didn’t look too mystical. I’m not into angels or fairies or other fantasy figures and wanted something everyday instead. I know nothing about traditional tarot symbols but I’m looking for a proper, full tarot deck to learn more and want to give the symbols my own, personal meanings and maybe do some paper collages around them. 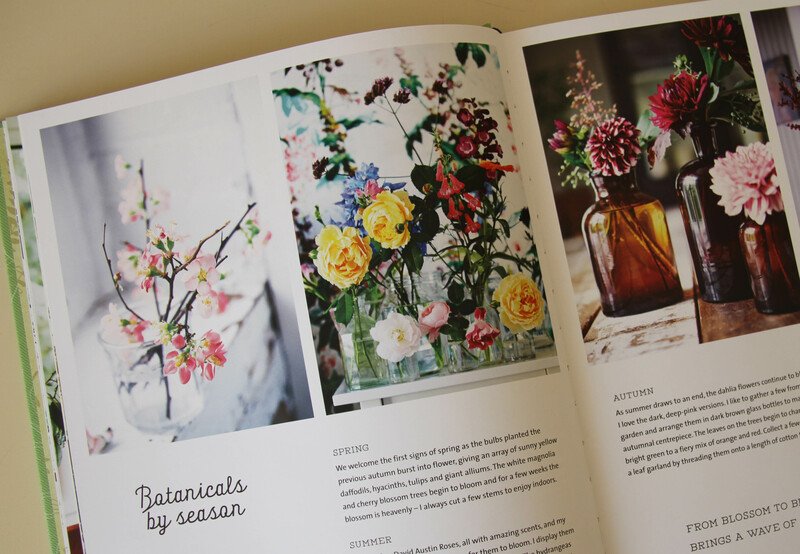 I’ve been addicted to flowers and plants lately and loving the book Botanical Style, Inspirational decorating with nature, plants and florals by Selena Lake which you can see in the pics above. I’ve made some progress with my library, the room is painted and waiting for the books shelves arriving next week and I’m looking forward to adding green in it. 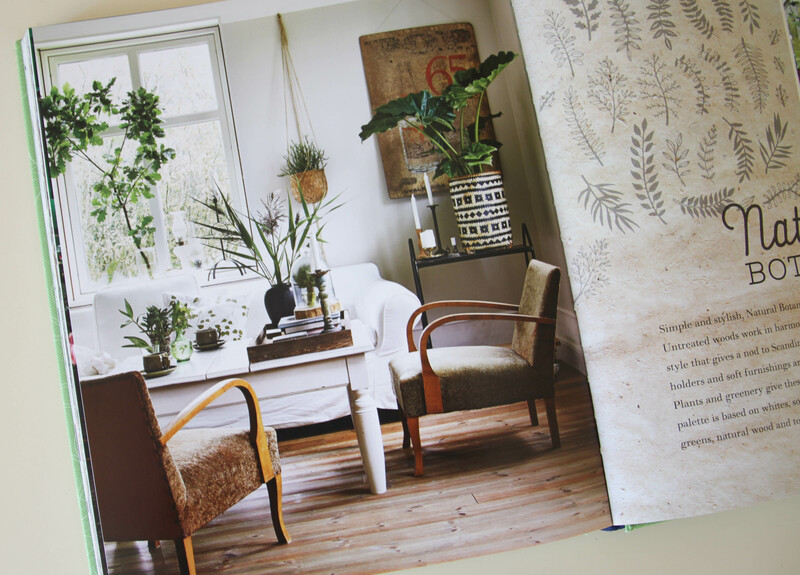 I like the idea of keeping everything very simple (white walls, simple furniture) and adding flowers and plants to give color and coziness.